Denne model er 175 cm og bruger en størrelse 2XL/S. Brystet måler 86 cm og taljen 66 cm. 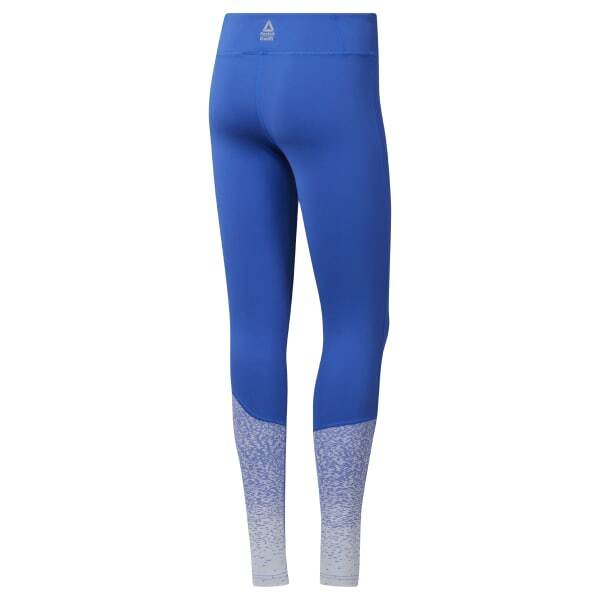 Lifting, metcon or mobility, these women's training tights won't bunch up or slip down as you move. They're made with moisture-wicking Speedwick fabric that keeps sweat under control when you're blasting heat. The wide low-rise waistband and fitted cuffs provide a secure fit.